It started with a few photos cropping up on a friend’s Facebook page around August 2017. 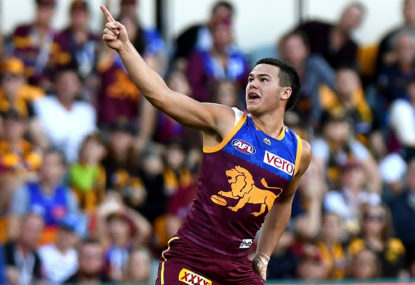 The Brisbane Lions have won a scrappy, arm-wrestle of a game at Metricon Stadium by 4 points, a game they came perilously close to losing. 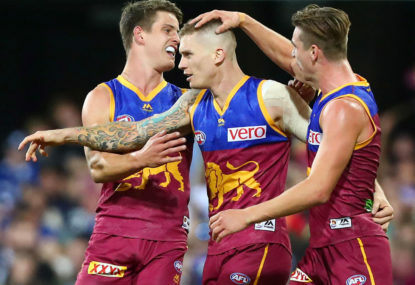 Match result: The Brisbane Lions have won a scrappy, arm-wrestle of a game at Metricon Stadium by 4 points, a game they came perilously close to losing. On the morning of April 13 2018, Victorian premier Daniel Andrews confirmed on ABC Radio Melbourne what had already been revealed via a carefully targeted leak to The Footy Show the previous evening – the AFL grand final was extending its stay in Victoria for a further 20 years, to 2057. One thing sometimes forgotten when discussing big issues in the AFL, is that football exists, much like our world in the marble bag at the end of Men in Black, as a very small part of a much wider world. Saw an interesting article on the AFL site, it listed ten ways to fix AFL football for the fans. 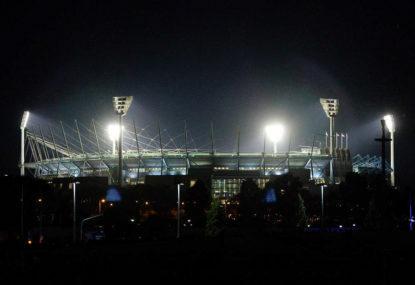 In January 2008, a report surfaced in the media that the AFL had quietly registered an organisation called Gold Coast Football Club Ltd with ASIC. 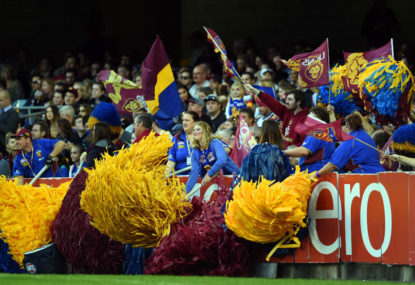 It’s hard to describe the lonely existence of a Lions fan here in Brisbane – I suspect it’s rather what an endangered animal feels like, that sort of growing realisation you don’t see as many of you round anymore as you used to. Who are the biggest boom or bust players of all time? As part of a discussion a few days ago regarding Brendon McCullum’s legacy, a stat was cited by Geoff Lemon that McCullum had scored some 17.6 per cent of his runs from a mere five innings. 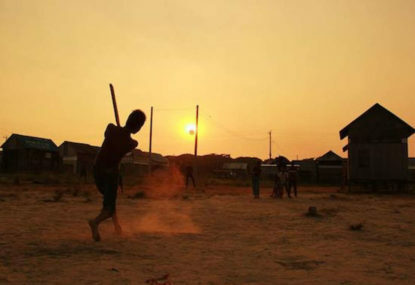 One of the best recent takes on amateur level cricket is The Grade Cricketer – a searing, no-holds-barred satire on the strange world of aspiring cricket in this country, covered previously on The Roar by Dane Eldridge. 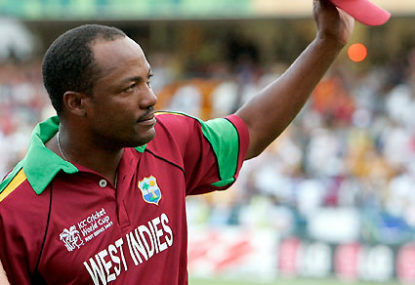 What makes a great indoor cricket team? It’s often said that the only thing indoor cricket has in common with outdoor cricket is the name. Two weeks in and there’s the familiar odour of déjà vu wafting out of the Gabba. Yet another season where starry eyed optimism has given way to gloom. An article published on The Roar about Sri Lankan master Kumar Sangakkara provoked some healthy debate about his qualities. 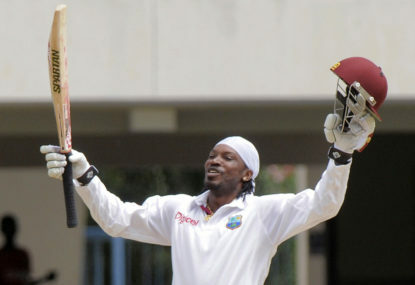 And one innings that was cited several times by his proponents was his magnificent 192 in Hobart in 2007. It’s a hard life for bowlers in Twenty20 cricket. There’s never enough fielders, the ropes are too close, the pitches too flat and the rules are too restrictive. The scene is Boxing Day, 1981. 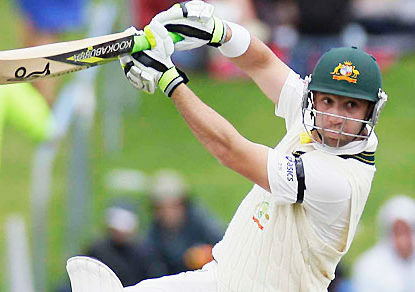 The crowd is overflowing at the old MCG, and the atmosphere is at fever pitch. I think, for most people, officiating in a sport starts with the realisation that ultimately, you’re not very good at it. Surely Jaime won’t be the first to die. He has to still be around to kill Cersei. 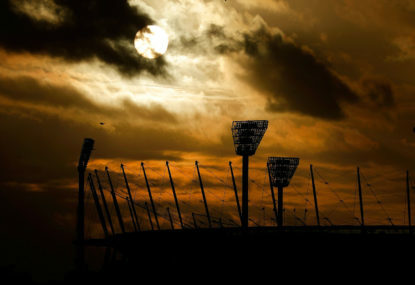 Not much of an article so here’s not much of a response – who says they’re inevitably going to beat Melbourne? Back in 2014 Richmond managed to lose to the 2014 Dees who were staggering into the post-Neeld world, not long after Tommy Hafey died – talk about doing it for Tommy, he was probably just glad he wasn’t still around to see that dross. 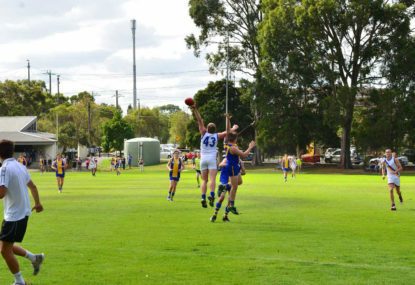 Off-topic, but I will just say that the introduction of the 6-6-6 rule into masters footy is absolute pants and is already creating chaos at centre bounces. No idea why the bell ends running masters footy thought for a moment that what a competition for over 35’s and over 45’s really needed was a rule aimed at reducing congestion at the highest levels of the game involving elite athletes. Not like anyone playing our level has the fitness to run up and down the field and make it to every stoppage. As others have said the rules I hate are any rule involving free kicks blown from ruck contests, the below the knees rule is annoying, and the rules around protected areas. Couldn’t really care about the holding the ball rule, the people complaining about that one are the dullards who haven’t yet realised if a player doesn’t have prior opportunity he can just drop the ball and not get pinged for it. 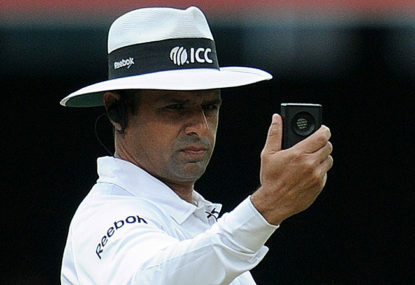 As to what prior opportunity is – well, it’s whatever the umpire decides. I’m also ok with that. 38 points, bloody hell Peter I hope you’re wrong. Aish isn’t much. Is Beams playing tonight or is he busy being a prima donna again? Last time we won a final. 2009. Voss was still coaching, a young Daniel Rich burst from a stoppage to get us back into the game, and Bradshaw kicked an incredible goal from the pocket deep in the fourth quarter. Next year we forcibly traded Bradshaw to the Swans, brought in Fev, the Suns got dropped into the comp, K Rudd got knifed and it’s been mostly downhill since then. Looking forward to a huge night! The fans can also share in the experience by standing for hours on end in firetrap stadiums where you can’t get a view of the proceedings and can enjoy grown men punching each other in the head because other grown men didn’t do football well enough out on the field. Great article. Rose coloured glasses are just awful. Should be banned. Sydney were just trying to inveigle themselves with the locals by taking a big risky punt on a piece of real estate where future earnings and costings didn’t meet projections. 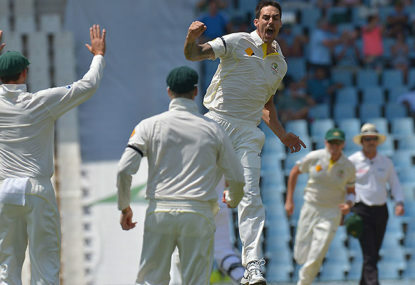 They’ll get loads of sympathy from all the would-be Sydney property moguls sitting in the stands. I can only assume that Sydney felt that the salary cap was going to increase over time and they felt Buddy’s salary wouldn’t be that onerous a burden to carry – it doesn’t have to be in any event, if they decide to focus on going back to what they do best, bringing through quality youngsters and turning everyone else’s discards into quality players. I would say though that I think the shot at the title has passed them by – they had their chances in 2014 and 2016, and the manner of their exits in 2017 and 2018 does not bode well. That’s football though. 18 teams, only one can win each year, and certainly the Swans at worst might have a few years out of contention but I can’t see why they don’t come roaring back in due course. The issue I have with the journos is that their careers extend far longer than the average player – and they lose touch, they become irrelevant, and in an industry where eyeballs are everything, what it leads to them doing is instead of making greater efforts to put together reasoned commentary they wind up taking big swings and becoming increasingly outlandish. The worst person in football media right now is Kane Cornes, without any shadow of a doubt. Spent half an hour trying to become a firefighter and now just throws fuel on fires from behind his media desk. The Lions flogging helped me get in the mood for the absolute flogging we got dished out by Wilston-Grange Gorillas in our first over 35’s match of the year Saturday evening at Brendale. Something like 94-38 I think, just way too good for us, they’re one of the two teams in Brisbane who actively recruit players (Morningside is the other). There was a bloke they had who used to play for the Reds, tried to lay a tackle on him and it was like trying to push a tree over. First game all year I had an opportunity to watch in entirety, so of course Brisbane were dreadful. My apologies. We were a bit slow for the Bombers, who are a seriously rapid football side when running – Dylan Shiel is underrated with how quickly he runs, didn’t realise what a sprinter he is. With Zac Bailey out we had no-one who could keep up with Tipungwuti and it really showed. Some uncharacteristic errors from us in the first half, couple of players exposed like Walker down back, Rich is getting seriously old and slow, Cameron had an off day. Bombers far too slick, far too good. 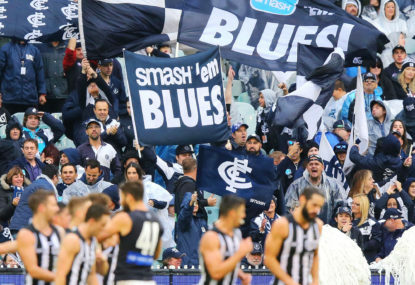 Next Thursday should be an interesting match against Collingwood, the game last year was one of the best of the year, absolute goalfest decided in the last two minutes so see how we go with a prime time slot. I remember the AFL last gave us a prime-time game against the Pies about 4 years ago and it was absolutely dreadful, something like 60-6 at halftime so let’s hope we do better than that. Collingwood aren’t as quick as the Bombers and I think Harris Andrews will be able to do a pretty good job on Cox to nullify the uncontested marks, but if it goes to ground I have real fears Collingwood’s nimble types like Elliott & De Goey will run circles around some of our old slow blokes down back. Great to see the Suns getting another win – I don’t understand why some people would say a team would just win 0 games for the season, that’s never going to happen, not for 22 weeks. 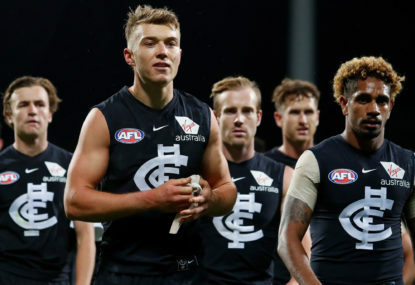 Speaking of teams who have won zero so far, I would like to feel a bit sorry for Carlton but I just can’t, because Carlton keep doing this to themselves. I mean, no-one held a gun to their head and forced them to trade out pick 1 next year, it’s the height of hubris and arrogance because it assumed a rise up the ladder, not dissimilar to the Crows who thought it was all just going to happen – Bolton is fast turning into Mark Neeld without all the yelling and bulging forehead veins. They have a crucial next 3 weeks because they have the Dogs and North at Marvel and an injury struck Hawks in Tas – if they don’t get some wins on the board soon their back half of the season is looking dire, they play a lot of potential top 8 sides and I doubt many teams will be putting the cue in the rack this year towards September. 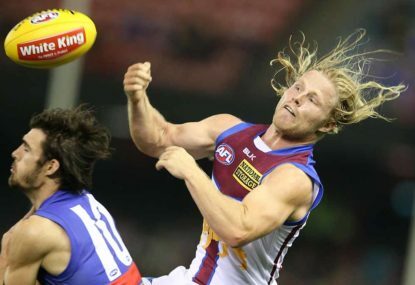 Adelaide is the new Brisbane – both home town teams lost badly this week. DKMAF – totally agreed, certain people on this place I don’t bother talking to anymore as they just relentlessly contradict whatever you say, and replies are their oxygen. Suffocate them through indifference. Yeah I would hope Will Knight spoke to the convicts before throwing them out there as some sort of community service option for Folau – one of the most patronising things I’ve read, as if they should be grateful that Folau lowers himself to coach them and somehow that waves a magic wand and makes all of this go away. There’s going to be some very ordinary games played Friday night this year from the looks of things. Sabrina Frederick-Traub announced she wanted out of the Lions too. Most people reckoned she’d already checked out 12 months ago based on her performance this season. What you’ll find is that the same people who are just itching for an excuse, any excuse to criticise women’s footy will latch onto disloyalty, whilst ignoring the fact that loads of men walk out on their football clubs every year as well. But there will be criticism regardless, and I don’t think that in itself is a bad thing – at least it means people are passionate about their club. I’d prefer criticism over total indifference myself. Yeah agreed here – unexpected was not the word I would use, unless I wanted to admit that I hadn’t been paying attention to him. He was always a great talent when he was fit. Not surprised in the slightest he’s doing well at the Lions. Clearly I picked the wrong week to subscribe. Might just double down and try you again this week.